Bassi Vineyard stands alone just 1.2 miles from the ocean, outside of any recognized AVA boundaries, unbound to precedent or convention. From the crown of it, you can see the Pacific, a window into everything about this land—its morning fogs, briny air currents and steep oceanic soils. Here on the coastal extremity, the sense of terroir is vivid and relentless, and we are called to hold nothing back. Bassi Vineyard unfolds along sloping terrain overlooking Avila Valley in southern San Luis Obispo County, just off San Luis Bay Drive. The vineyard is accessible by appointment only. 110-Briones Tierra complex with a 15% to 50% slope. Weathered from soft sandstone, containing Tierra soil and Arnold-Pismo loamy sand. 142-Gaviota fine sandy loam with a 15% to 75% slope. Weathered from hard standstone with limited clay. These soils are low in organic material. The underlying bedrock is hard marine sandstone through which the vine roots can barely pass. Yields are inherently limited, producing fruit with natural intensity and vivid site expression. Bassi Vineyard is farmed organically with biodynamic inputs. 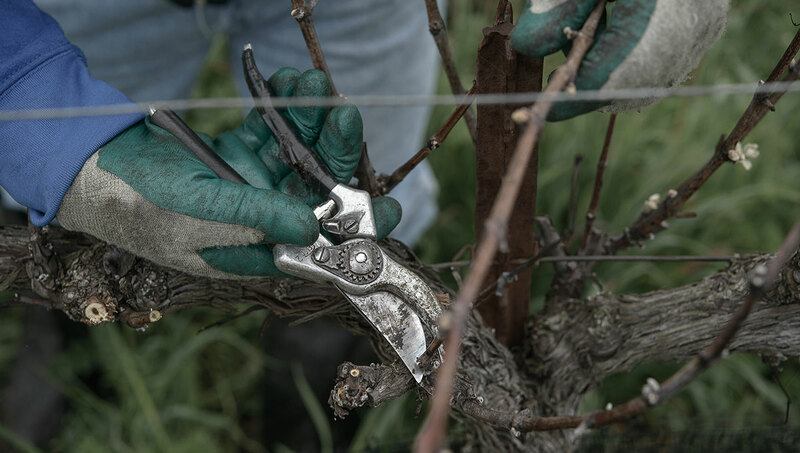 These practices are observed, first and foremost, because they help make better wine. No stone is unturned in that pursuit. What is great for the wine is also good for the land and the surrounding environment, so the rewards are ample for keeping everything in balance. No certification has been pursued. All recent plantings have been own rooted.